They go by many names — man cave, man-space, mantuary, bro hole. In days of yore, they were known simply as dad’s rec room, workshop, smoking lounge or deer camp. Call ’em what you will, they all have about the same function. They’re spaces we fellas carve out from the rest of our abodes to tap into our inner boy — assuming that boy is allowed to drink beer, shoot pool, play cards, watch sports or play with his toys at any hour of the day or night. These domestic getaways are so popular, they even have their own TV show — the aptly named “Man Caves” on the DIY Network. On the show, guys can learn how to hang a punching bag, soundproof a room, demolish a wall or build a coffee table from hockey sticks. For this week’s Home & Garden Issue, Seven Days profiled four rocking man caves in the Green Mountain State (more photos at sevendaysvt.com). Our only criterion: They had to be in or associated with private homes — no taverns, frat houses, car dealerships or high-end stereo stores. Incidentally, women are welcome in all the man caves we visited — provided they don’t try to hang any frilly drapes. All photos by Matthew Thorsen. 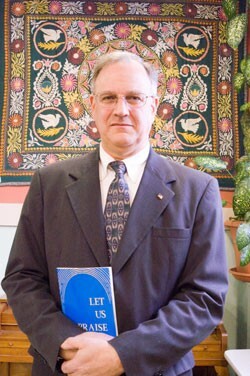 Click to see larger versions. Last fall, when restaurateur Jeff Paul moved into his Williston home, just minutes from the Ramunto’s Brick Oven Pizza he co-owns, he made a deal with his wife, Monica: She got to decorate the first two floors of their house as long as the basement belonged to him. That much is obvious to anyone visiting Paul’s subterranean manspace, duly identified by the New York Giants “MAN CAVE” sign at the bottom of the stairs. Paul’s is the sports shrine every diehard fan dreams about: dartboard; pool table; dual TVs (with the football package in winter and baseball package in summer); basketball hoop; granite-topped bar with rotating Dr. McGillicuddy’s Schnapps sign; fridge; bathroom (seat up) and plenty of shelf space for his sports memorabilia. Even his “man candle” is sports-scented: It’s called First Down and smells like pigskin. When it comes to sports memorabilia, Paul has tons: baseballs autographed by Yankees’ pitcher Andy Pettitte and shortstop Derek Jeter; an A-Rod home-run ball Paul’s wife caught six years ago; a handful of soil lifted from the old Yankee Stadium before it was torn down. 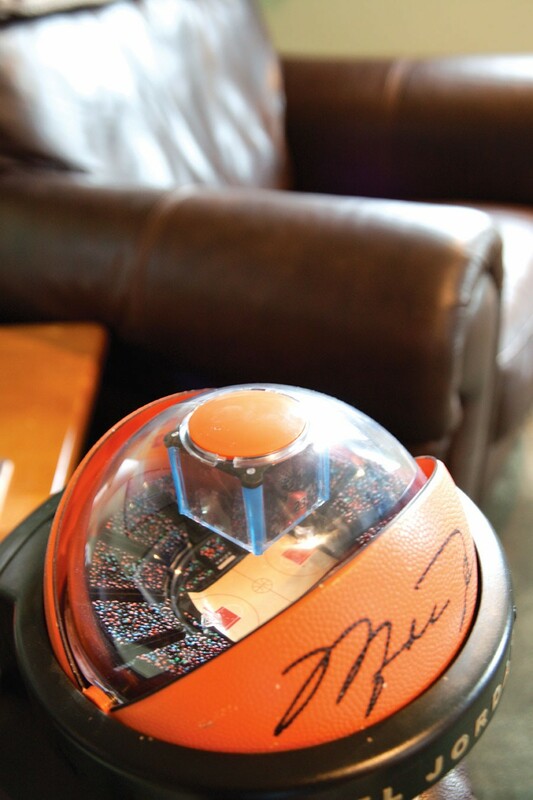 There’s also a Michael Jordan basketball-shaped telephone. When it rings, it plays music and opens to reveal a tiny Chicago Stadium and cheering crowd doing the wave. What would Paul feel the worst about losing? The bobblehead of himself his wife had made, he suggests, or perhaps his collection of rare Absolut vodka bottles from around the world. Clearly, Paul has no kids yet. How soon will he have to defend his space? “I have a few years,” he says. Chris Doyle’s shop is the kind of man-space that would drop a 12-year-old boy’s jaw in a heartbeat. Sure, the radio-controlled airplanes in the loft are pretty cool, as are the 15 vintage motorcycles and dirt bikes in various states of repair. 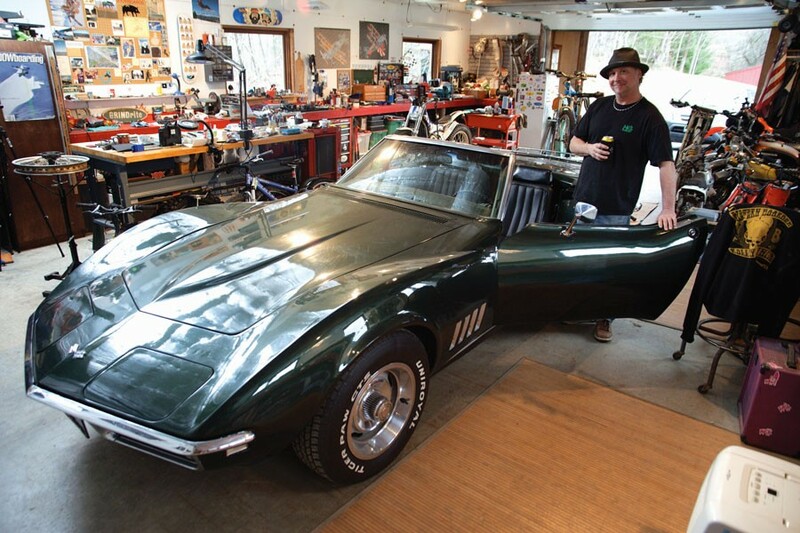 But it’s a toss-up which of the two most prominent features a boy would dash to first: the mint-condition ’68 Corvette convertible in British racing green — what Doyle calls his “overpowered go-cart” — or the vintage 1947 single-engine Luscombe airplane, sans wings, which Doyle once flew coast to coast over a two-year period, touching down in fields and small airstrips all along the way. Indeed, Doyle’s personal shop — he’s not a fan of the “man cave” moniker — is a living archive of a life spent in seemingly constant motion. Doyle, who’s worked in R&D for Burton Snowboards since 1996, now lives on 12-plus acres on a Waterbury mountainside with his wife, Sandy Yusen. He’s been in Vermont’s winter sports industry since 1981, when he “showed up in the Mad River Valley with my $400 VW Bug, skis and an address for a restaurant where I might get a job,” he recalls. 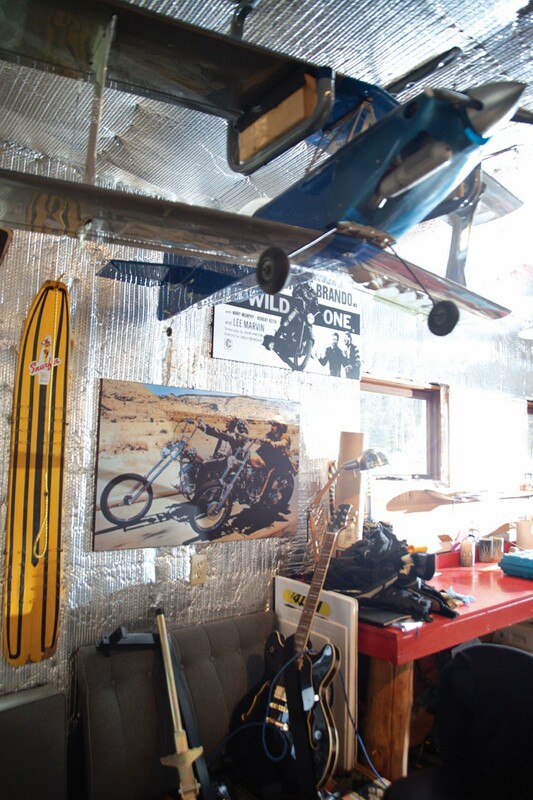 Hanging on one wall of the shop is the ’85 Burton snowboard Doyle rode home from work at Sugarbush every day. 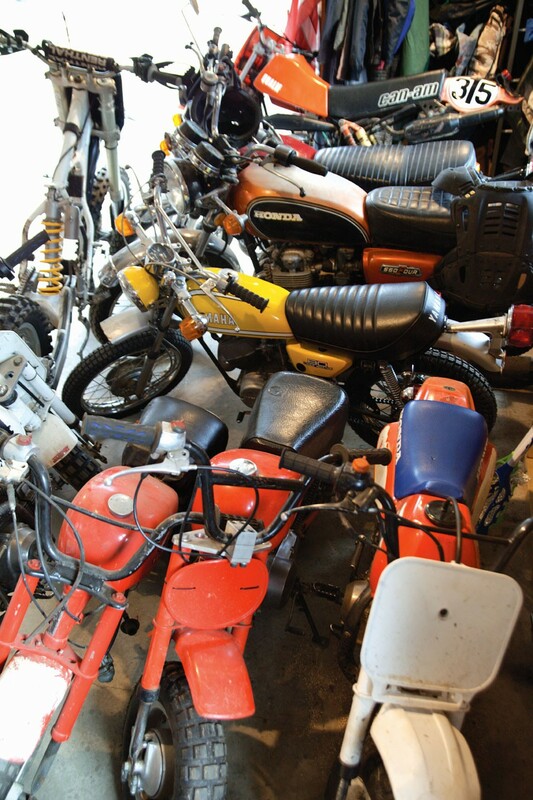 Doyle’s stand-alone, 20-by-28-square-foot shop was once a carport built by the property’s previous owner, Lee Higgins — Doyle’s old friend and former employer at the now-defunct Cycle Works motorcycle shop on Burlington’s Battery Street. Strictly speaking, his is not exclusively a man’s space; Yusen has her own VW van chair, where she hangs out while Doyle is puttering. Beside it is a shelf of Doyle’s various collectibles, including an Apple Jacks cereal box that features pro snowboarder Barrett Christy on the front. Doyle built her the bindings she used to win the 1997 U.S. Open in the half-pipe. Lots of spaces are called man caves, but Del Howard’s is the only one we found that actually looks like a cave. Howard and his wife, Kim Ead, moved to Bolton a few years ago to, as he puts it, get closer to their outdoor playground. 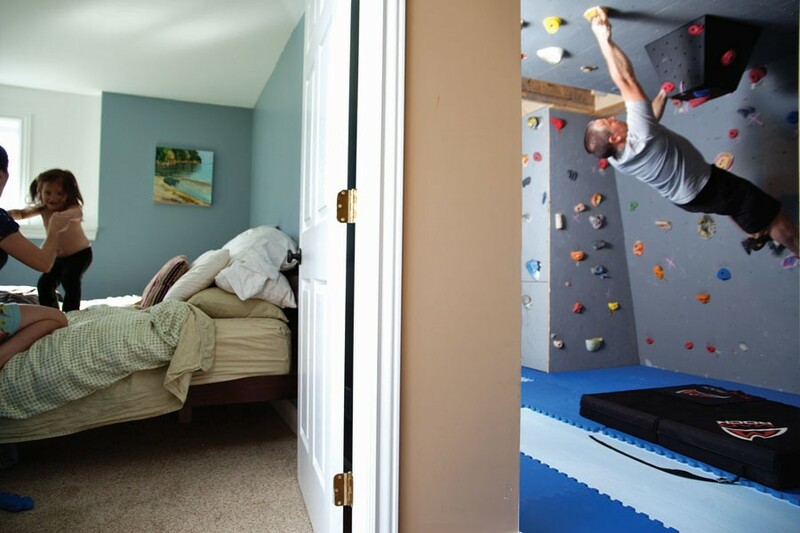 But when the weather outside is too poor for playing, the Colchester High School teacher retreats to his basement for an hour or two of indoor rock climbing. Unlike man caves that feature pricey entertainment centers and priceless collectibles, Howard’s 10-by-17-foot cavern is rugged and utilitarian. 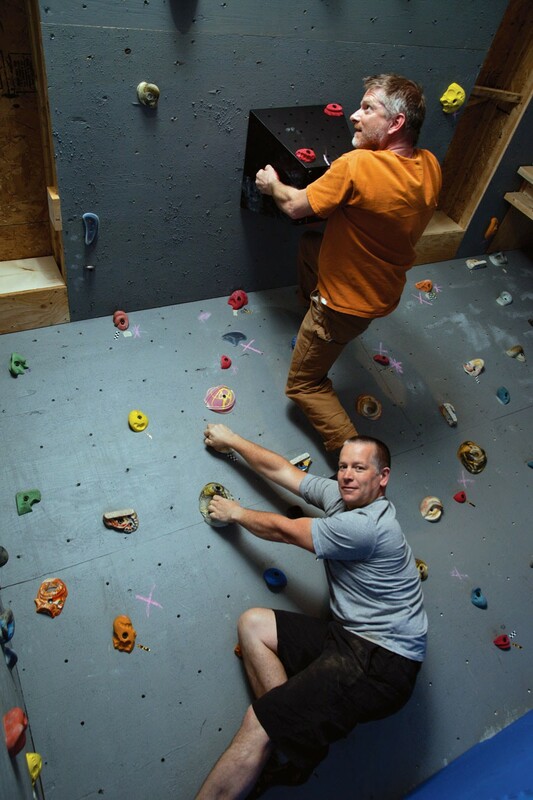 Except for the blue padded floor, it holds little more than an assortment of handholds bolted to the walls, which can be rearranged to vary the climbing difficulty. Within this space exists yet another cave — a darkened crawlspace beneath a flight of stairs that can be used for practicing climbing moves in tight quarters. 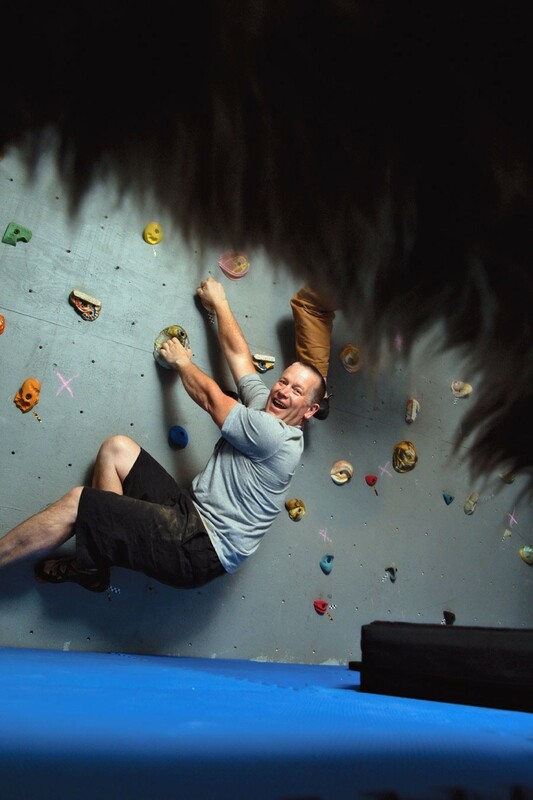 Howard and his friend Michael Kuk built the climbing cave about a year ago over a couple of weeks. Unfortunately, the room was severely damaged this year in what Howard calls “the Great Flood of 2013.” A heavy rain event? But the cave was rebuilt and continues to evolve. Recently, an engineer friend added a boxy stalactite of sorts that hangs from the ceiling and can be climbed on or hung from. Howard’s 2-year-old daughter, Sydney, is already experimenting in the climbing cave — mostly by playing hide-and-seek there. How much time each week does Howard get to spend in his man cave? Why would a man who shares a house with another man need a man cave? For WCAX news anchor Darren Perron, its more about practicality than getting away from his partner. “We entertain a ton and don’t want to ruin the upstairs, so this is kind of our party central,” says Perron. Because his husband, Peter Jacobsen, runs the nonprofit Vermont CARES, each year the two throw a huge fundraiser in their man cave. There’s another, more practical reason for the space: Perron works nights and often doesn’t get home until after midnight. “So if I want to hang out, I can come down here and not be a bother,” he explains. Perron’s finished basement meets all the requirements of the classic man cave, and then some: There’s a wet bar, neon beer signs, pool table, fridge, poker table and entertainment center. 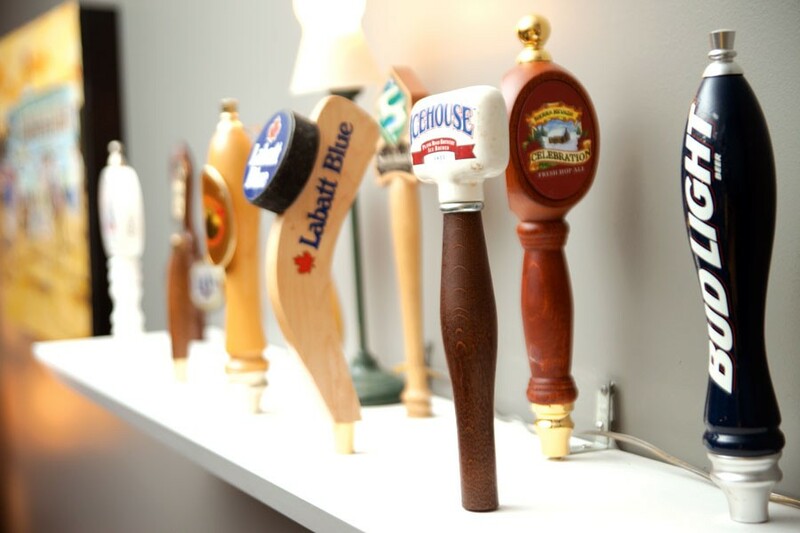 And there are Perron’s collections of beer taps and antique Vermont license plates, the oldest dating from 1925. 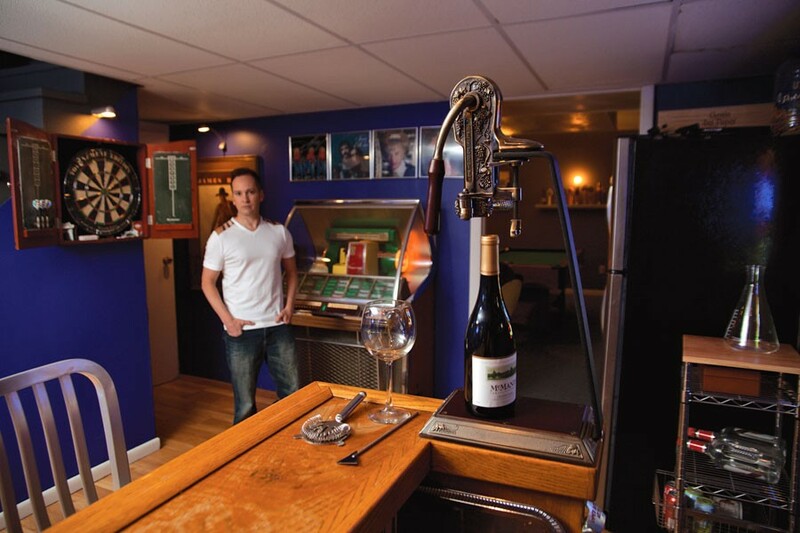 Perron’s love of man caves goes back to his childhood home in Barton, where his parents had one. “Back then they just called it a rec room,” he recalls. Along with framed album covers, including one by Sonny & Cher and Tammy Wynette’s Stand by Your Man, Perron has a framed photo of the U.S. Air Force Thunderbirds, with whom he once flew for a news story. The original print version of this article was headlined "Guy Space."